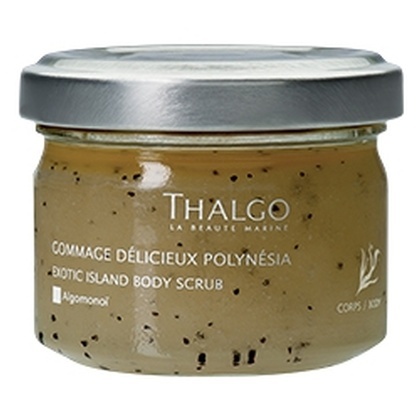 A body scrub containing red algae and butcher's broom that removes dead cells and softens the skin. Good to lighten tanned skin. Use once or twice a week on damp skin and rub in circular movements especially on rougher areas of body. Rinse with water.